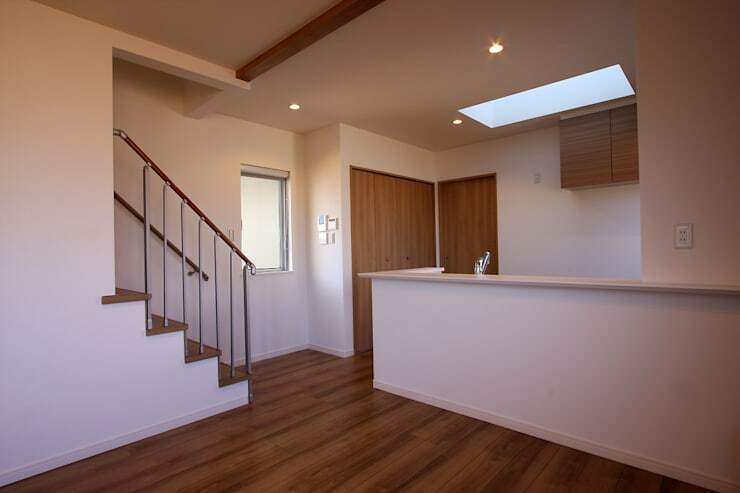 Japanese homes are commonly known for their soothing natural aesthetics, pure minimalism and interesting take on the relationship between internal and external living spaces. All these elements are often wrapped up in the classic Japanese courtyard or internal garden. The home is located in an urban area where privacy is a concern. Accordingly, the exterior is extremely private and there are almost no external windows at all. 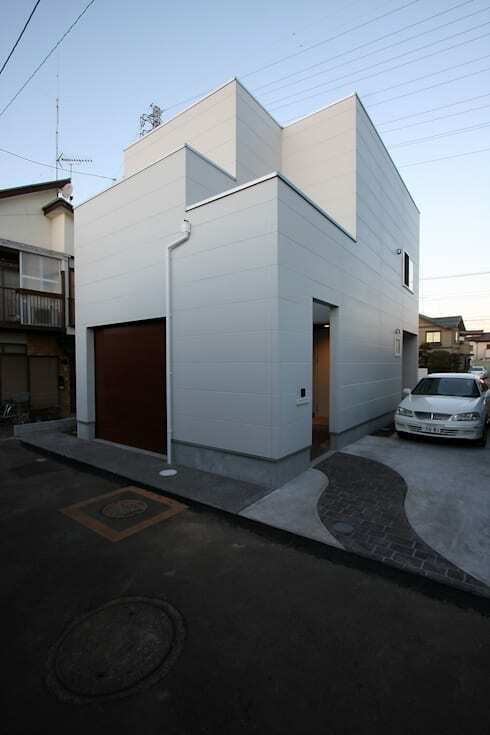 It's a deceiving facade for such a light filled home. 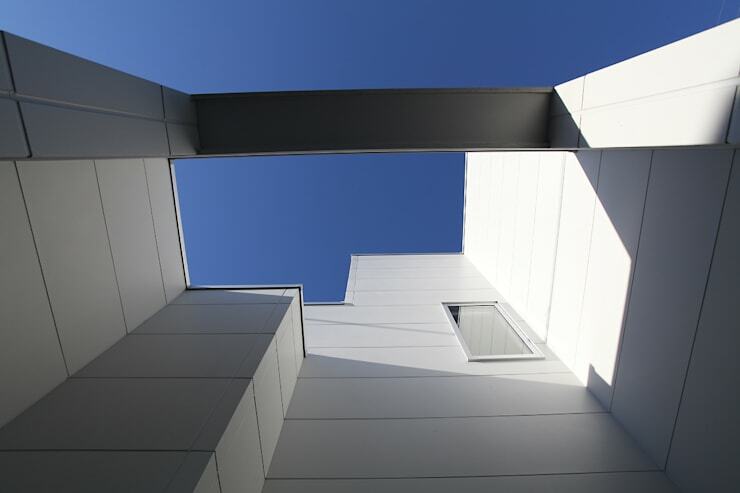 Here, we can see how the architects have overcome the challenges of a windowless facade by creating interest with a varying roof line. 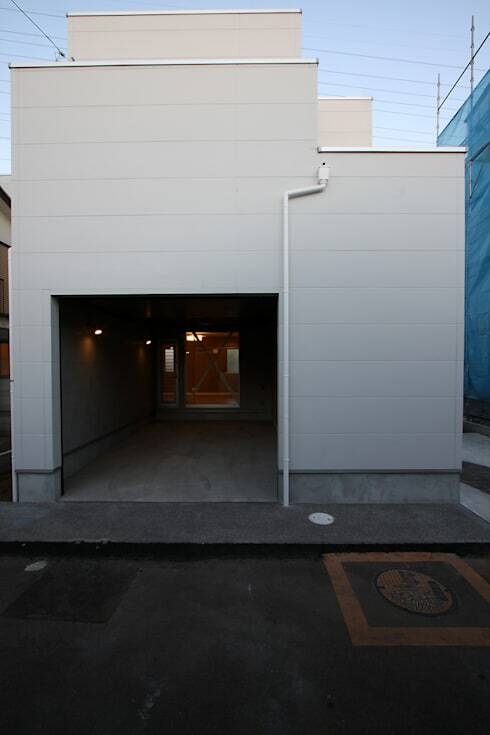 The entrance has an entrancing, Zen-like simplicity. The sweeping line of the concrete pathway provides the perfect counterpoint to the strong vertical lines of the walls. 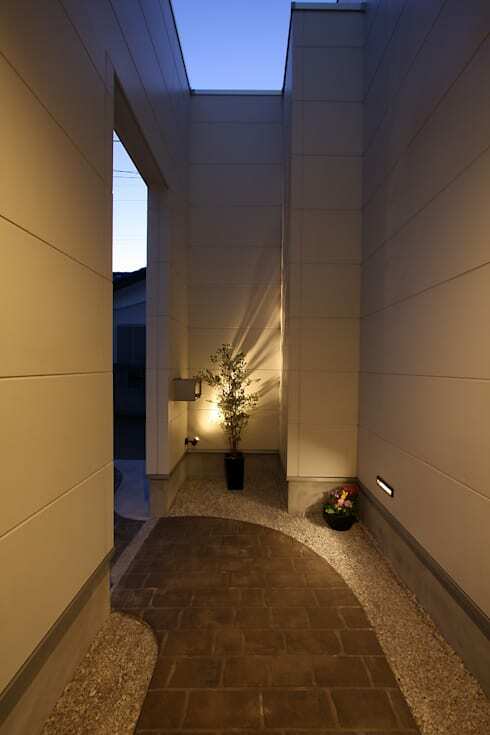 A simple garden of white stones adds interest and shadow lights play on the wall. These are all commonly employed elements in a modern Zen garden. Although the home has an almost windowless facade, it still has a generous outdoor patio area that receives a lot of sunlight. 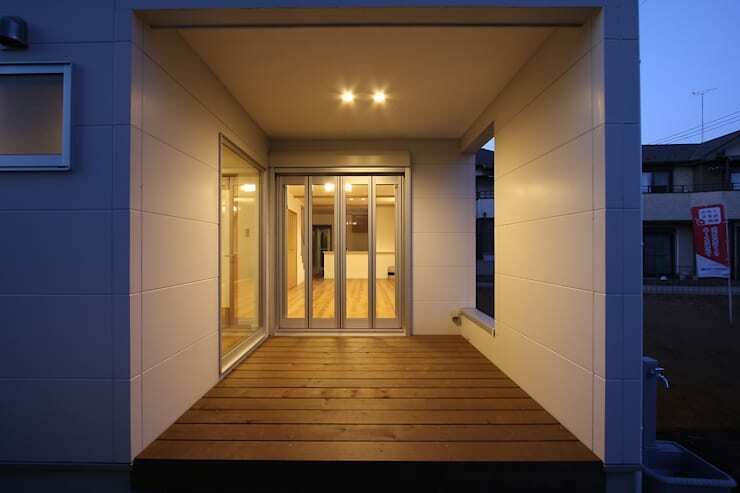 This has been achieved by opening up the side of the home with a large opening and creating little wells of light. White walls catch the light and bounce it around the living area to magnify the sense of space. At the rear of the property we have another large opening that leads towards the living area. The opening is large, but the sliding doors are quite deep-set within the home, creating another sort of privacy barrier within the home. This semi-exposed living area is finished with a raw concrete finish that expresses the industrial style aesthetic of the home. The interior has a soothing, natural aesthetic. Natural timber is seen in the flooring, trims and doors. 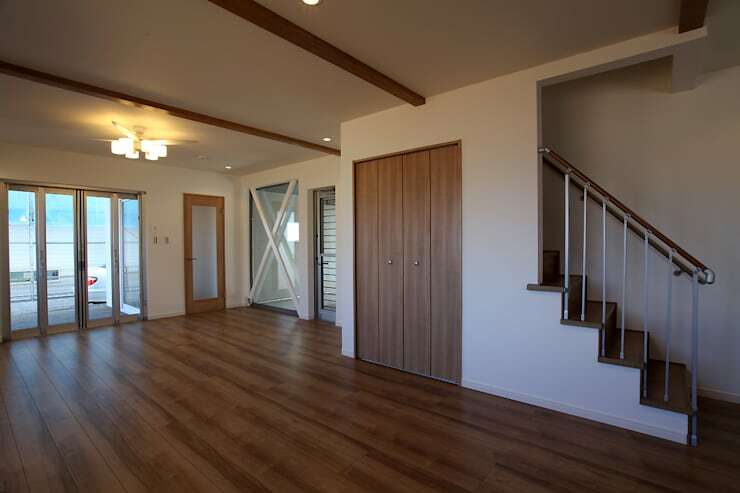 This is a common look for many Japanese homes and is often used to imbue a sense of natural warmth and texture into an otherwise minimally furnished home. 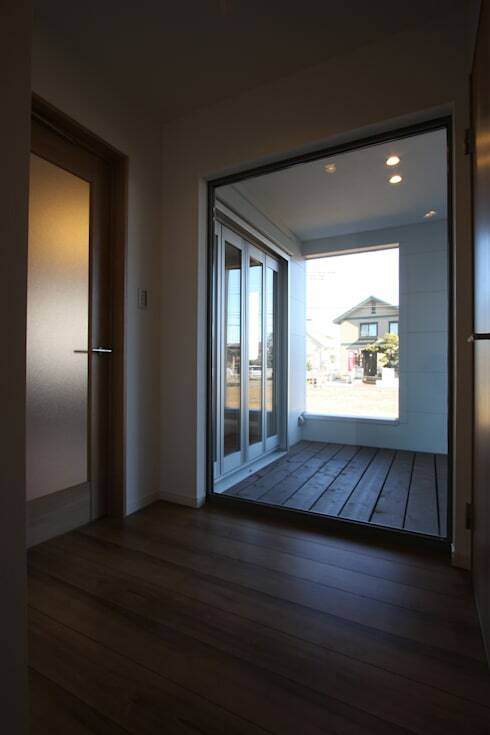 Here we have an excellent example of how a shift in the floor level can be used to simply separate the living spaces in many Japanese homes. This kind of step is often used to help dwellers acknowledge a shift in focus as they move from one activity to another. 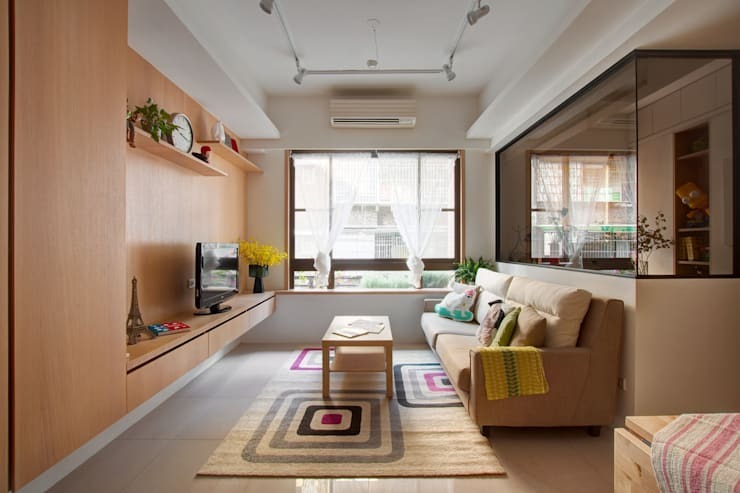 For more inspiring simple home ideas, have a look at Mom's house: a cute 70m² penthouse in Korea. What do you think of the private exterior of this home?